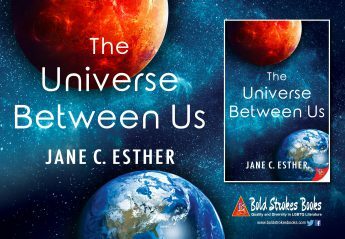 My first novel, The Universe Between Us, is out now! You can get your copy at Bold Strokes Books, Amazon, or anywhere else you buy eBooks and paperbacks. Want to see me in person? I’m at most Boston-area Pride events during the summer. Keep an eye out on my Facebook page for other events and giveaways! I love to hear from friends and soon-to-be friends–send me a note via my Contact page.